Using Pix4D’s Crane Camera to monitor site progress of a super hospital construction project makes as-built verification easier than ever. Time is money. That is why construction companies are always looking for innovative solutions to improve building processes and become more efficient. Adopting new technologies to survey and monitor job sites regularly is key. Already using drone technology, a major construction company in Denmark wanted to go further and experience the novel Pix4D Crane Camera solution to get as-built data automatically on a day-to-day basis, without allocating more resources or impacting their budget. Being among the very first adopters, the Danish contractors implemented the solution on a massive hospital construction site. In this use case, we’ll see how the solution works, and how it’s helping them monitor site progress, making as-builts verification and communication easier than ever. Denmark’s construction sector is very dynamic and is set for continuous growth in the upcoming years, boosted by infrastructure investment, with hospital projects on the front line. Today there are more than 40 hospital projects commissioned to both renovate old hospitals and construct new ones. Five new super hospitals are planned to be built in Denmark over the next five years, each of them specializing in specific fields of treatment and offering the very best available care. 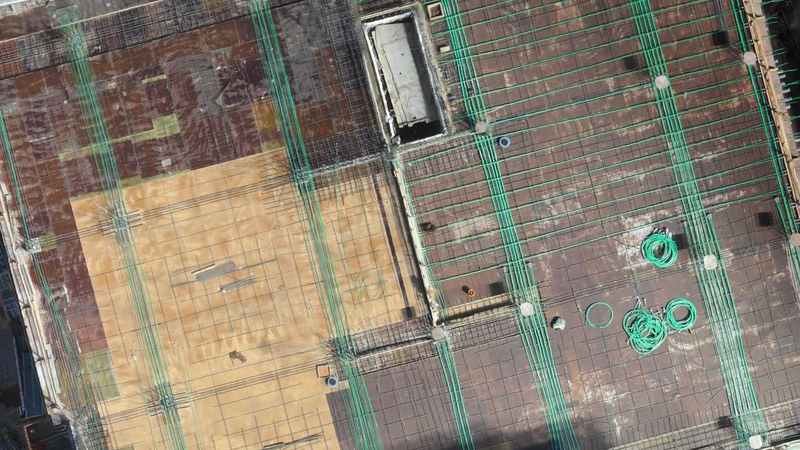 The Pix4D Crane Camera solution is monitoring one of these construction sites. The jobsite is impressive. 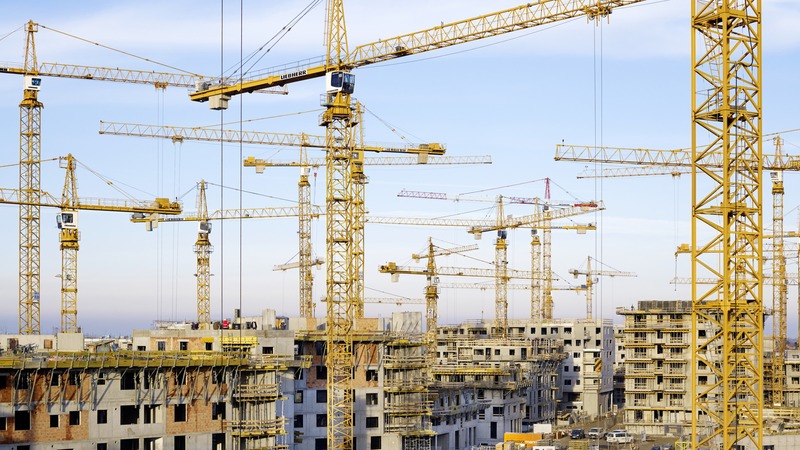 Covering over 150,000 square meters, the project involves 13 tower cranes and multiple subcontractors. It’s a flagship of digital construction, using connected devices and drone mapping technology in the field. We can immediately understand the interest of the project team in testing the new mapping solution on this site. The system installation is critical. Before fixing the camera on the crane, the position on the jib needs to be carefully defined to ensure the best possible coverage. Should it be on the end of the jib, the middle of the jib, or counter-jib? Because every site is different, and what works for one site might not work for another, it’s important to start by outlining the area of interest. This helps determine the optimal position, which should ideally be located in the center of this area of interest. A camera positioned at the end of the jib is ideal when the area of interest is not directly under the crane and it’s not necessary to visualize the base of the crane. A position in the middle of the crane is more suitable for tower crane located in the center of the area of interest and it’s then required to have the base of the crane in the images. In addition, it’s also possible to increase the field of view (FOV) of the camera and thus get wider site coverage by installing multiple cameras on site or the same crane. The camera is always positioned on the jib, and not the hook or the trolley. This placement guarantees higher stability and reliability of getting the exact same results day after day – not to mention that powering the system on the hook would be challenging. Finally, the camera must point straight down towards the site. The objective with the crane camera is to get 2D orthophotos of a site. Capturing side images is not useful and pointing straight down better ensures high-quality orthomosaics. Once the position is set up, there are two options to mount the camera on the crane. If the crane is not erected yet, the easiest is to fix the system during the crane installation, when the latter is still on the ground. The other option – a bit more time-consuming – consists of installing the camera on an erected crane. In both cases, it’s important to have in mind it could require a crane installation specialist and to plan this in advance. 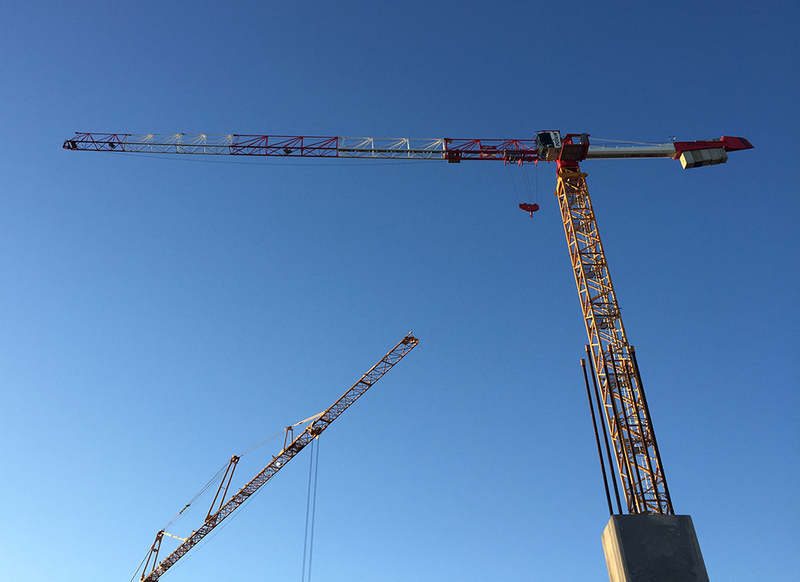 For the Danish site, like for most of construction sites, only a crane operator is authorized to work on erected cranes. 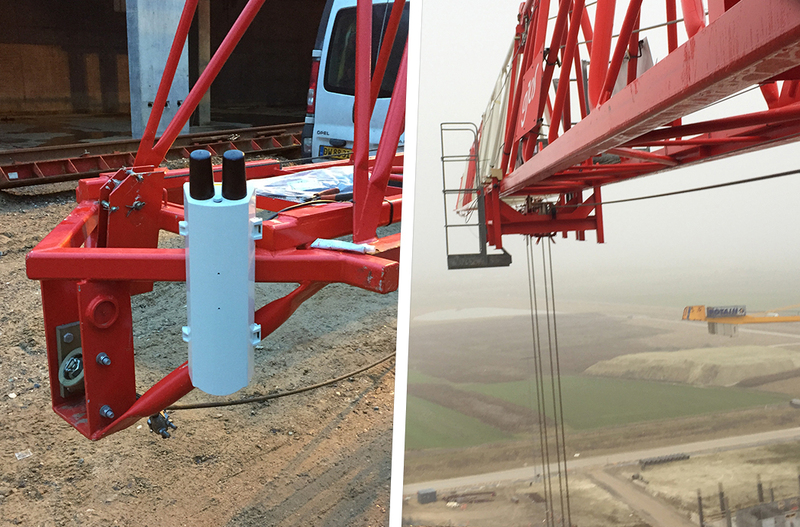 The project team chose the easiest option: setting up the camera on a 65-meter rail-mounted tower crane before mounting it on site. It took the team less than 30 minutes to install it at the end of the jib. Thanks to the height of the crane, the camera positioned at the end of jib and orientated with the width dimension parallel to it, and the fact the crane is moving on tracks, the results cover a large area that includes the base of the crane in the images. Powered by the crane and equipped with a mini-computer and GPS/movement sensors, the system is enabled to run independently to capture site images. Data acquisition can be fully automated – with a pre-configured operating time and no human intervention at all – or controlled remotely to start and stop the system when required. At the hospital construction site, the camera is configured to collect images automatically every day at the same hour and for the same period of time. It starts at 09:00 am and stops at 2:00 pm. It is set up to take images every 5 degrees: a total of 72 images should then be collected to get a full 360 degree circle. After 5 hours or 72 images collected – depending on the level of crane activity – it uploads the images to the cloud for processing, using an integrated 4G Micro SIM card linked to a local mobile phone network. For a complete collection, the camera creates approximately 300MB of data once a day, every working day requiring a minimum of 6GB data plan per month for the SIM card. Only a couple of hours are needed from data collection to data visualization, and the entire workflow is completed automatically. It’s important to stress there is no possible comparison with a CCTV surveillance camera. Not only the quality and clearness of the crane camera images are significantly higher, but also data outputs differ dramatically. In fact, Pix4D software uses advanced image analysis and photogrammetric algorithms to process the images, resulting in the creation of 2D mosaics of images that are orthographic. Being perspective free and scaled, those 2D orthomosaics can be used to measure distances and surfaces. More importantly, because they are orthographic they can be compared with CAD/BIM drawings used by the site. Also, thanks to a GPS included in the crane-mounted system, the images are accurately georeferenced in real-world coordinates. 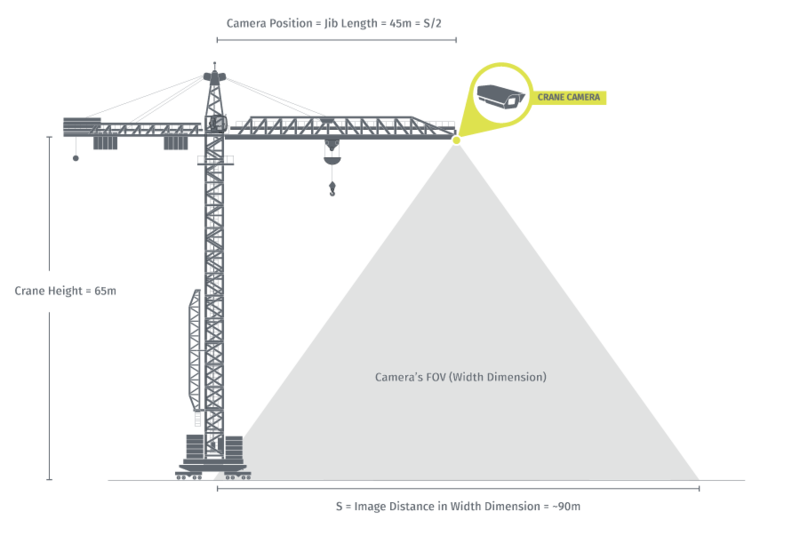 Developed in collaboration with Liebherr, the system is weatherproof and has been tested to withstand the vibrations of the crane, so it doesn’t affect either the system precision nor the sharpness of the images. After capturing images of the as-built hospital site, data is sent to the cloud to be processed and turned into 2D and 3D models. The project BIM Manager can visualize results on the Pix4D Cloud every day and share those with all project team members. Data collected in the morning is available to the team in the early afternoon. The height of the crane plays a role on image accuracy. To estimate accuracy it’s important to calculate the Ground Sampling Distance (GSD). This is the real-world size of a pixel in the images. The lower the image GSD value, the higher the resolution of the model. For the Denmark site, the GSD is about 1.7 cm per pixel, which gives an expected horizontal accuracy of 1.7-3.4 cm and vertical accuracy of 1.7-5.1 cm. Coordination and scheduling are critical in a construction project. Many problems and errors in projects stem from poor communication or lack of coordination, directly impacting the project schedule. Knowing precisely what’s happening on site – what has been done so far and what remains to be done – is quite often time-consuming, not to say challenging, for project managers and BIM managers. Collecting data automatically on a daily basis is a huge benefit for the project team at the Danish site. Although located on site, going out in the field to check the building status could take hours. With a permanent monitoring solution (installed in 30 minutes) and results accessible online, visual data is automatically available when they need it. The uniqueness of the Crane Camera solution lies in its combination of hardware and software for completely automated as-built data capture and processing. It provides construction professionals with a stand-alone, trouble-free solution to easily get 2D and 3D actionable data. “Our project managers can see the value in using it to help their daily work. The camera is installed on the other side of the site, at a long walking distance from the offices. We save a lot of time by not having to walk all the way there to see the construction status. We can see it by sitting in the office. If we want to verify specific elements have been installed or check out we’re on track with the schedule, that’s very easy as we get site images every day. We can easily check the site progress.” – says the construction manager for the hospital construction site. Automated construction progress monitoring and site documentation.